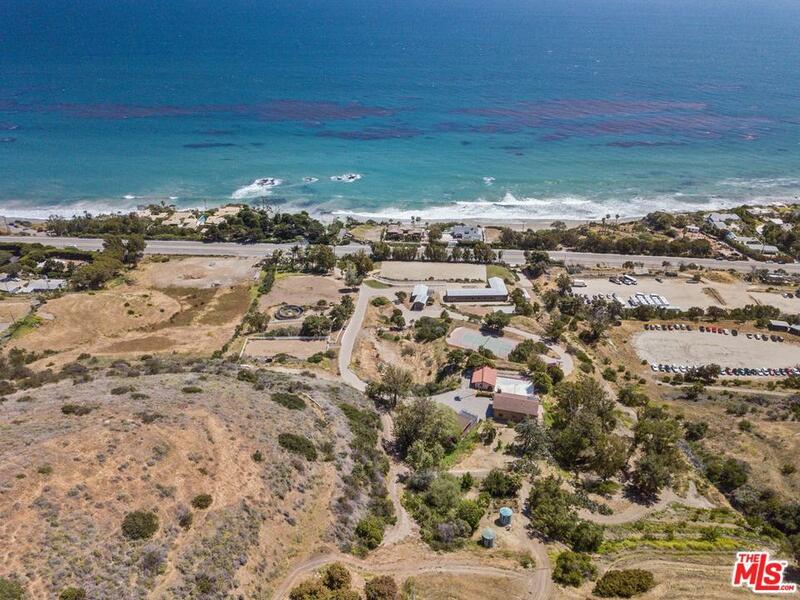 One-of-a-kind opportunity to own a 25-acre compound w/awe-inspiring ocean views,remarkable features & potential! 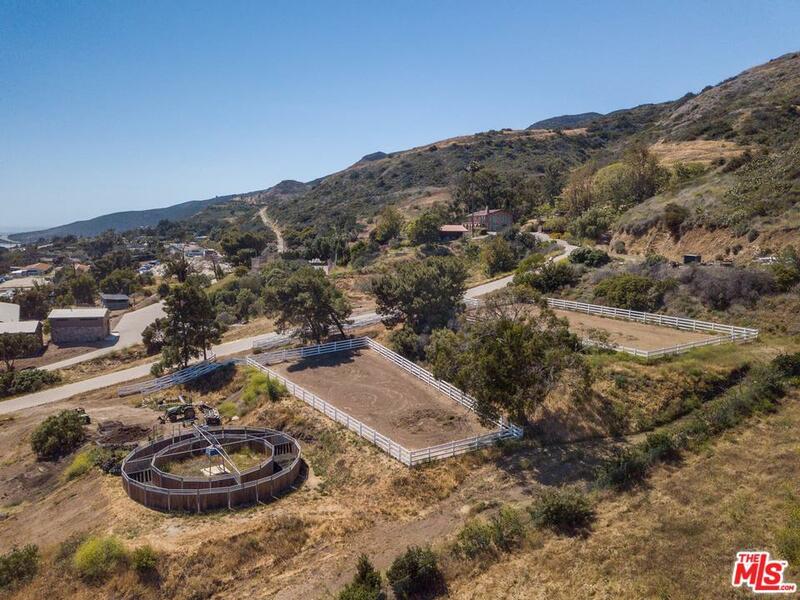 Exquisite equestrian facilities w/9 state-of-the art stables w/Crestron cameras, showers for horses, tack room & lounge w/ocean views, full bath & changing area. Computerized arena w/turf-water springs (from Austria) to ensure optimal riding. Beautiful house steps from stables w/garage, laundry room, living flows to kitchen/dining, bath & picture windows welcoming floods of light. Unique water filtering/storing system thru 4 veins in canyon resulting in thousands of gallons to service property. 75,000 gallons are stored on the property in 4 tanks on a regular basis. 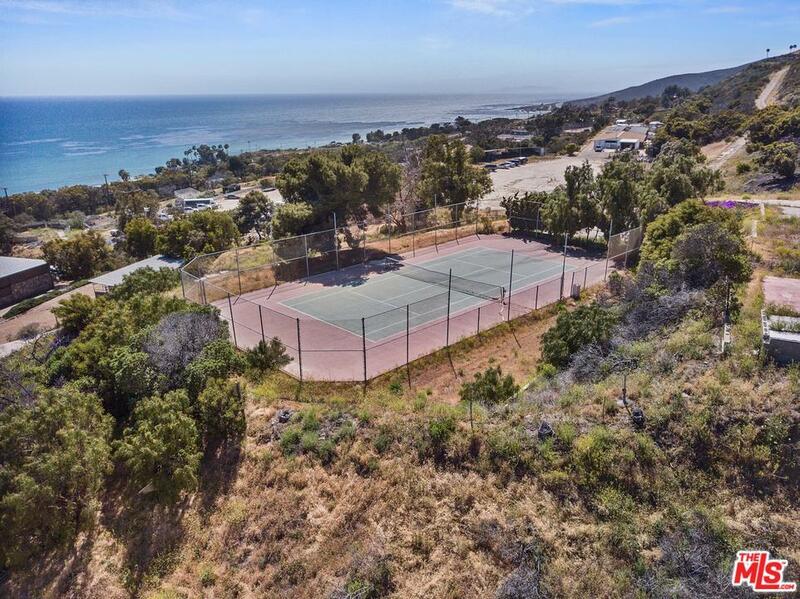 Includes 15 acres of buildable land, flat area designated for helipad, horse trails, outage generator, main house w/ocean views, recently renovated guest cabin w/koi pond, tennis court, 2 gated entrances off PCH & more. 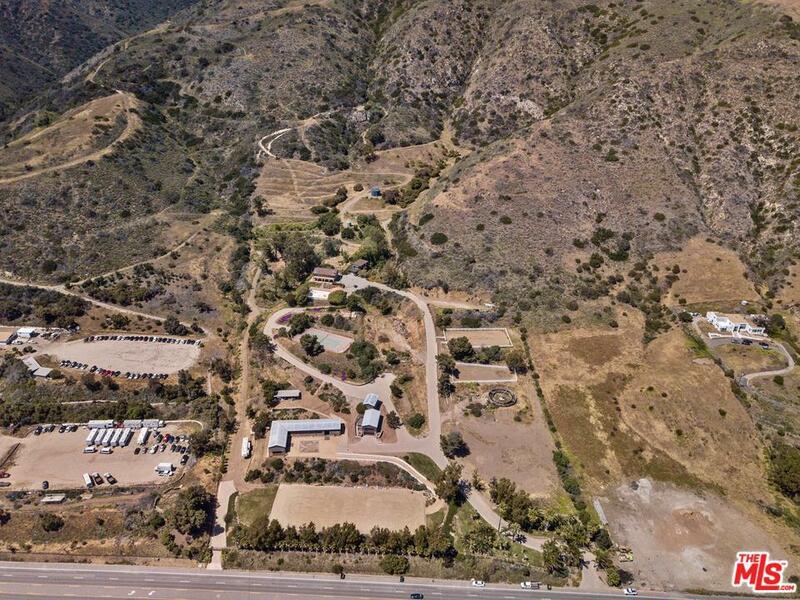 A compound unlike any other & unique opportunity for horse-enthusiast, developers & more!